“Otra,” I told the nice guy running drinks from the comfort of my beach chair and handing the empty bottle back to him. The waves lightly slapped the rocks below us and I watched the wispy clouds move across the sky. 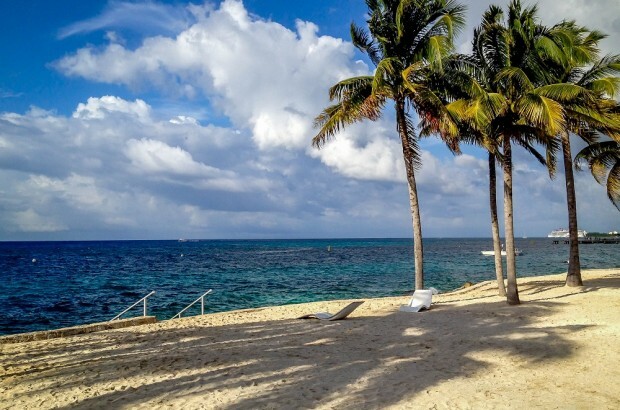 I was struggling with a difficult decision: continue to sit here and do nothing, or go for my third snorkel of the day – some decisions can be really challenging on vacation. We’d read some negative Chankanaab reviews, but we’d also read some positive things too. We really didn’t know what to believe. In the end, we were so glad we’d come. The idea of being in close proximity to thousands of other cruise ship day trippers in Cozumel, Mexico had me worried. Laura had talked to someone who had been here and the review was not favorable. The two chief complaints were that it is cheesy touristy and it is absolutely packed with cruise ship visitors. But I need not have worried. Like most places in the world, you can find the good or bad anywhere. 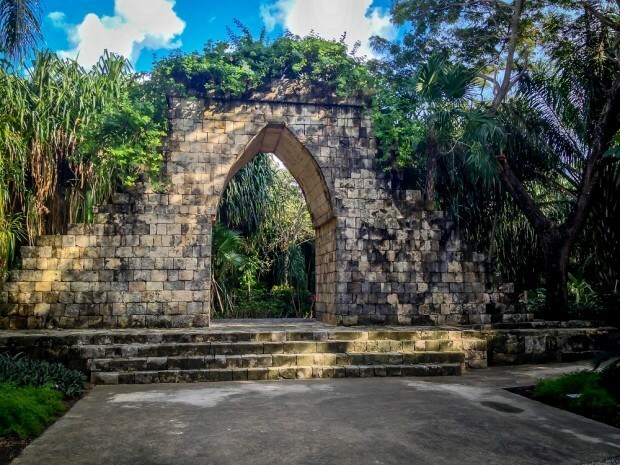 We found greatness at Chankanaab National Park! 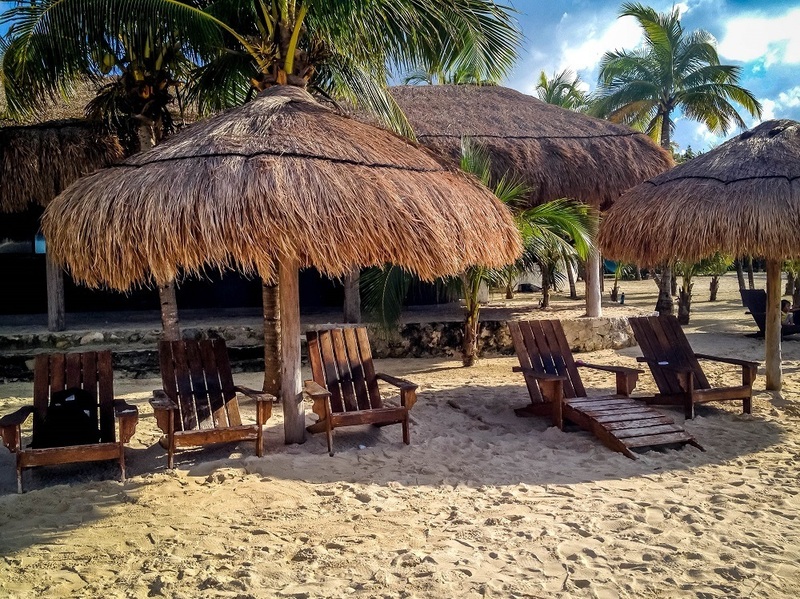 To clear one thing up – Chankanaab National Park is not “rustic.” In my mind, I expected a roadside stall and a large empty beach (similar to Chileno Beach in Cabo San Lucas). That’s not Chankanaab. And frankly, the rustic idea in my head was totally unrealistic. 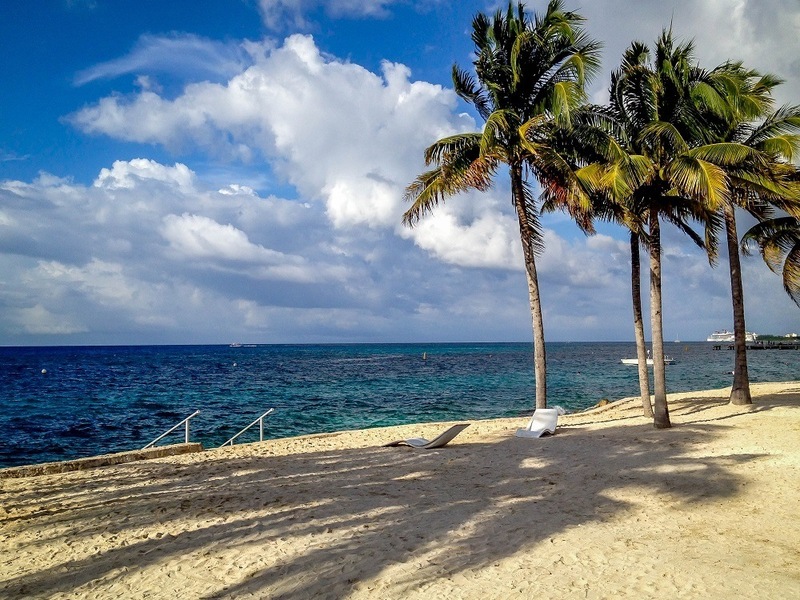 Cozumel has grown tremendously since I was last here to the point of being unrecognizable. It’s also unclear this is a really a “national park” in the sense we know it. Officially, the park is called Chankanaab Adventure Beach Park. And is described as The Natural Park Chankanaab. 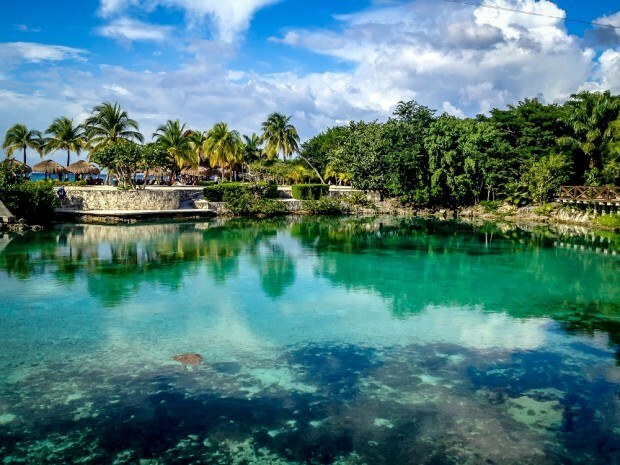 However, it is located within the Marine National Park of Cozumel, so there’s some truth to the “national park” description. However, Chankanaab National Park was perfect for our purposes. We’d come to Cozumel, Mexico on a cruise and the cruise company offered a rather pricey shore excursion to Chankanaab. Instead, we decided to experience Chankanaab and Cozumel on our own. We got off the boat at the International Pier Cozumel, grabbed a taxi, and were at the beach in 20 minutes. The Chankanaab dolphin swim (also known as a Dolphinarium). More on this below. Chankanaab manatee and dolphin exhibitions (again, more on this below). There is no shortage of things to do here. The benefit of the place like Chankanaab is that there is truly something here for everyone! What else would you need for a perfect day? The snorkeling was great! The Chankanaab Reef is in pretty rough shape (you can’t have a good reef with that many people visiting it), but the fish continued to populate the area. They have also put a number of underwater sculptures creating a kind of underwater museum. I had recently acquired a GoPro underwater camera for scuba diving and took it with me. I was able to get some photos of the underwater sculptures. Truly, there is something at Chankanaab National Park for everyone. Laura’s sister could go to the Chankanaab sea lion show while I went snorkeling and Laura lounged in the sun reading a magazine. It was a perfect day and we saved a ton of money by just grabbing a cab and doing it ourselves (instead of the official cruise ship shore excursion)! 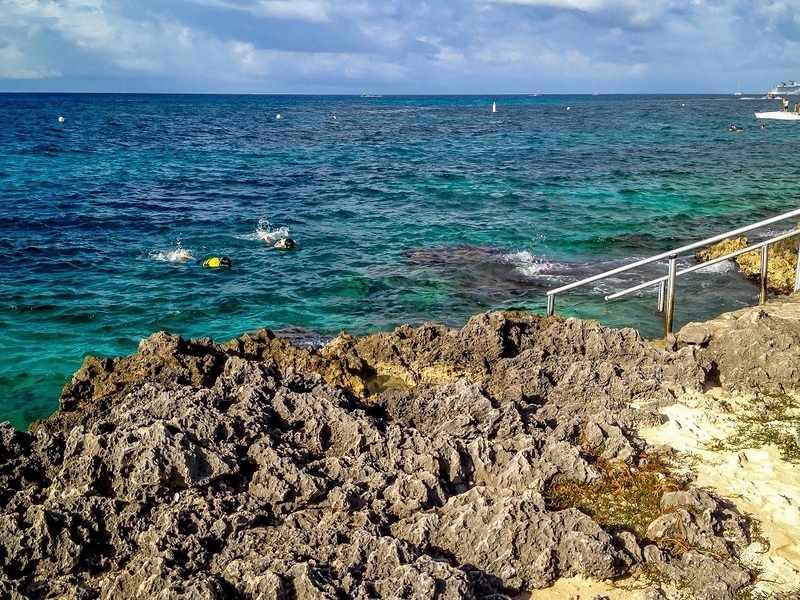 If you were going to spend the day in Cozumel, what would you do? Monday-Saturday from 8:00am to 4:00pm. But, when cruises are in port, closing time is “flexible” (they’re not going to turn away your money). The Chankanaab Nature Park (the beach and snorkeling) seems to be open later and most of the attractions seem to close earlier. $21.00 US Dollars for adults; children (3-11 years) is $14.00 US dollars. Note: We saw them asking for passports to prove kids ages for the discounted Chankanaab Park Admission. A taxi in Cozumel is a really good deal. $10 for four people from the cruise pier to Chankanaab; the return fare was $15. After being asked questions from readers about this, we feel the need to respond. Yes, it is possible to do a dolphin swim at Chankanaab National Park. We would encourage readers not to engage in this activity and to take the time to learn more about this issue. First and foremost, dolphins are wild animals. No amount of training can remove the risk of a dolphin attack. As this picture illustrates, wild dolphins have been known to attack during “swim with dolphins” encounters at dolphinariums around the world. 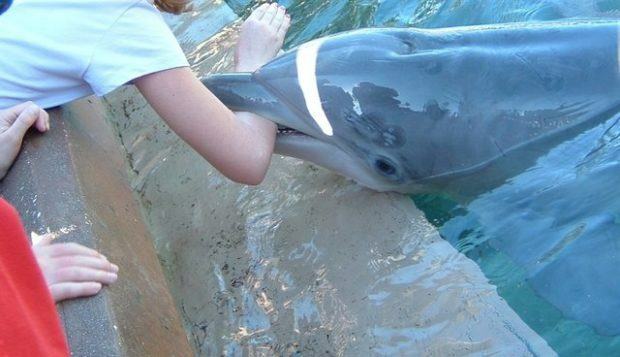 Children have had hands and arms bitten during feedings and a woman had her face and head bitten during a “kiss a dolphin” moment at a dolphinarium in Europe. Second, responsible travel companies have stopped selling swimming with dolphin experiences or dolphin excursions. This is not fringe animal rights activism, these are major travel companies like TripAdvisor and Thomas Cook Travel (based in the UK). Even the U.S. Government has warned on the dangers of such activities. Third, no matter what you’re told, the practice is questionable. Since 2004, Mexican law states that no dolphins can be harvested from the wild (as seen in the documentary film “The Cove” about the mass killings in Taiji, Japan), however, actual practice is another matter. Independent audits of each dolphin’s legal provenance have indicated that many dolphinariums in the world are ignoring acquisition laws. Dolphinariums are now illegal in the Mexican capital and a nationwide ban is being considered. Fourth, dolphins are used to swimming hundreds of miles a day. The dolphins that are used in the dolphin excursions in Cozumel are kept in small pens. Like really small pens. The law says that these Mexican dolphinariums need 42 square feet per dolphin. That’s a pen 6.5 feet by 6.5 feet. Prisoners in jail get more space. Again, these are animals used to swimming hundreds of miles a day. Fifth, dolphin swims are big business. Like a multi-million dollar business. Cruise companies get their cut, as do the dolphinariums that sell these activities. You are a big wallet for them to take advantage of. We realize it is a difficult decision. There’s a strong emotional pull of these majestic animals. 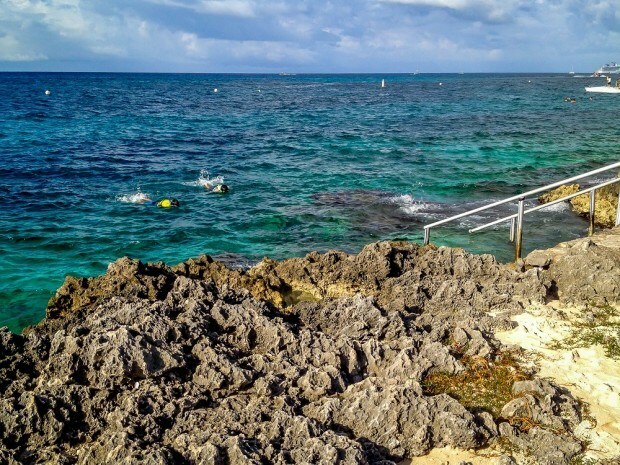 We get that kids really want to go swimming with dolphins in Cozumel. Please learn more about this before committing. Cave Tubing in Belize – Get Those Butts Up! 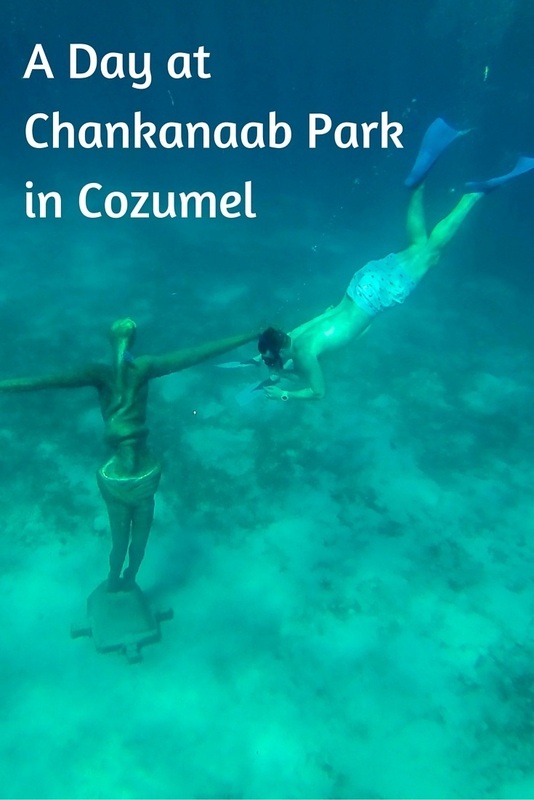 What do you think about Chankanaab National Park in Cozumel? The lighting on these photos is fantastic. Great work. THIS is the kind of review I love to read! How to go about it on your own and how you experienced it, from a personal point of view. My hubby and I went down 20 years ago & expect it to be much different but wow has it changed! We paid $100 each for an “excursion” only to find that it was a bus that took us to and fro, a ferry ride that was $8 round trip (again, a looooong time ago) and we were on our own to rent scuba gear. My thought ~ we could have totally done this on our own, and on our own time. Thanks for your awesome pics and perspective. Off to go find your other reviews…. 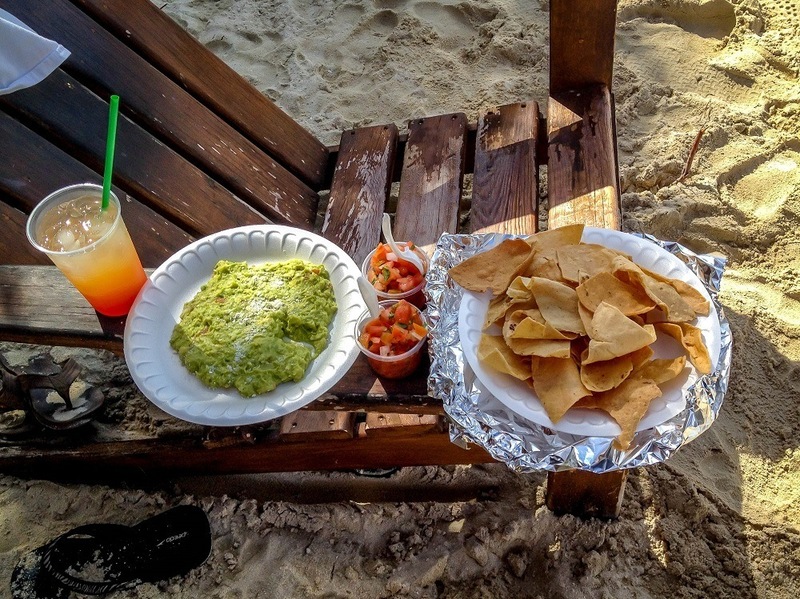 Thanks for reading our Chankanaab review Tara! We always strive to be helpful, informative, and maybe even a little entertaining! Hope you like some of our reviews! Do you recommend us buying admission tickets before visiting the park? Hi, Karen — We didn’t have any trouble getting tickets at the gate. The park itself doesn’t even do online reservations, although they are available through third parties. We are planning on visiting soon! Are the food/cocktails reasonable here? The food and drinks were great. The prices were reasonable, too — not as cheap as a local spot but much less than resort prices. Thank you for this article.. This is exactly what I was looking for. Any issues getting a taxi to take you back to the cruise port? We experienced no issues. There were numerous taxis to ferry guests back to the cruise ship terminal.